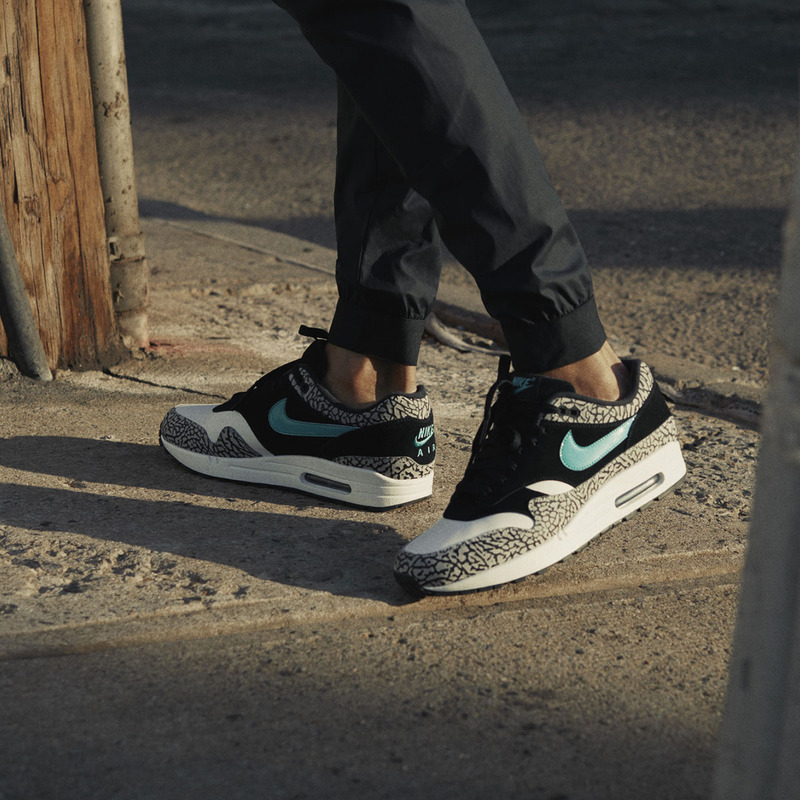 As the hotly anticipated Air Max Day slowly draws closer, we’ve taken a detailed look at Nike’s Vote Back 2016 winner, the atmos x Air Max 1 ‘Elephant Print’. This sought after release first made an appearance in 2006 and is now deemed as a grail that eludes many a collectors stash. 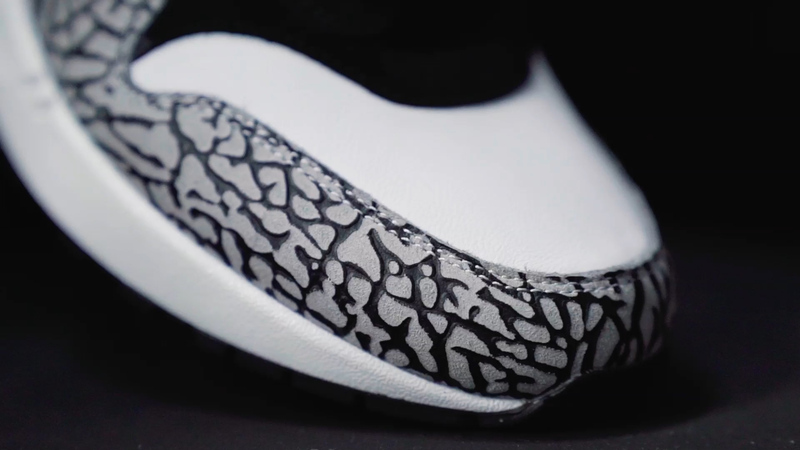 Features on this design include a clean, elegant white midsole, vibrant leather Jade swoosh surrounded by a black suede with of course the textural elephant print running throughout, first featured on Tinker Hatfield’s esteemed masterpiece the Air Jordan III. 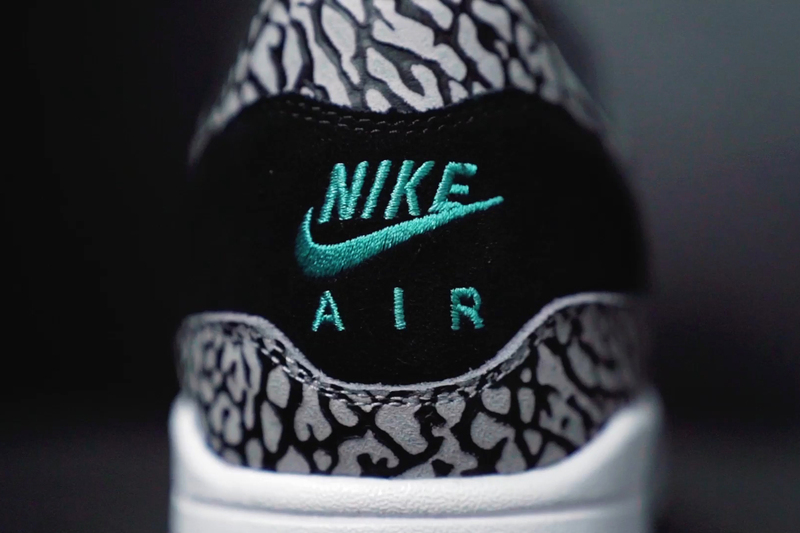 Japanese boutique atmos were the first of many collaborative partners to feature on one of Nike’s most iconic silhouettes. 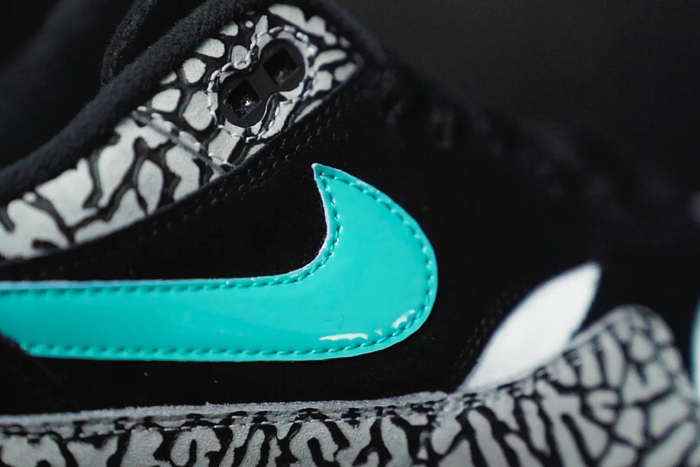 In 2002 on their first project with Nike, Atmos combined features of the Air Safari with the Air Max 1, producing what is now considered as one of the greatest collaborative 87’s to ever release. It was even privileged enough to get it’s own reissue last year, complete with a few slight design tweaks. Die hard fans, collectors and members of the sneaker community prayed and voted for this re-release. Nike answered and are now delivering on their promise. 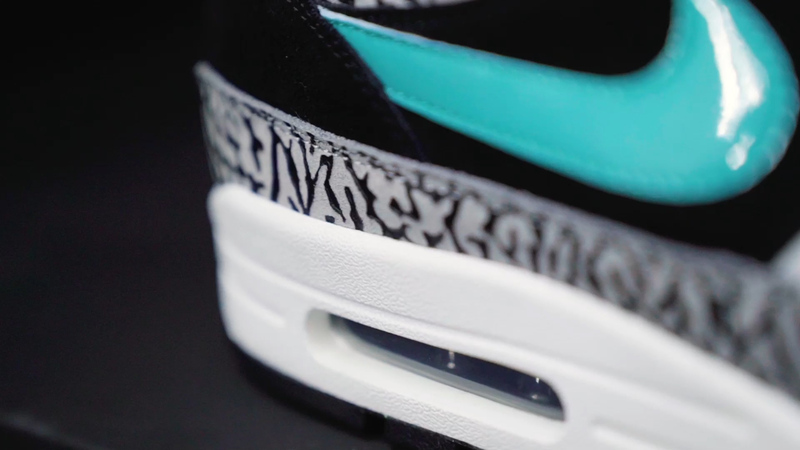 The Nike Air Max 1 ‘Elephant Print’ will be available online and in all size? stores on Saturday 18th March, priced at £110. In the meantime, you can find all the information you need about our activity around Nike Air Max Day here.